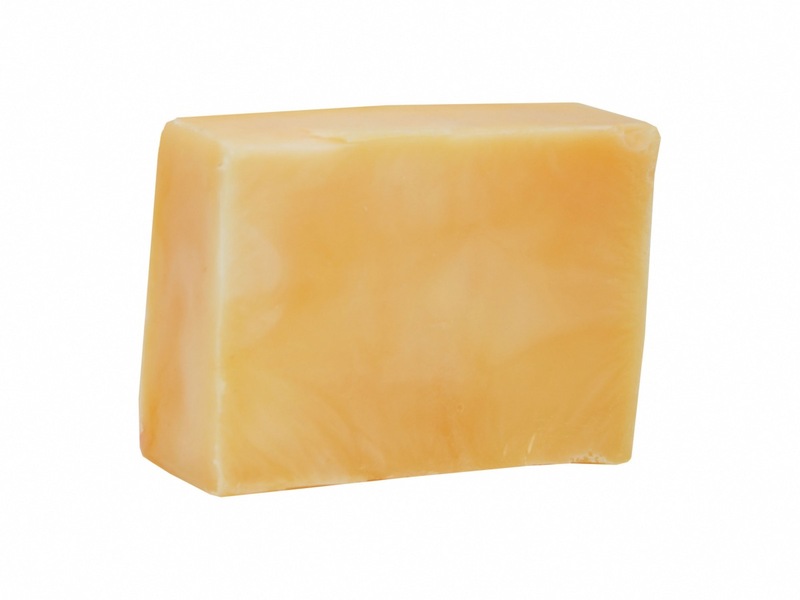 THIS SOAP IS CREATED USING MOISTURISING VEGETABLE GLYCERINE. 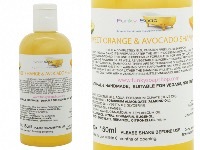 IT WILL CLEANSE AND NOURISH ALL SKIN TYPES AND LEAVE YOUR BODY SOFT AND NOURISHED. GLYCERINE BEING A GREAT CHOICE AS A HUMECTANT, HELPING TO KEEP LIPIDS LOCKED WITHIN VISIBLE LAYER OF OUR SKIN. 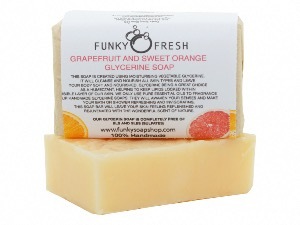 WE ONLY USE PURE GRAPEFRUIT AND SWEET ORANGE ESSENTIAL OILS TO FRAGRANCE THIS HANDMADE GLYCERINE SOAP. 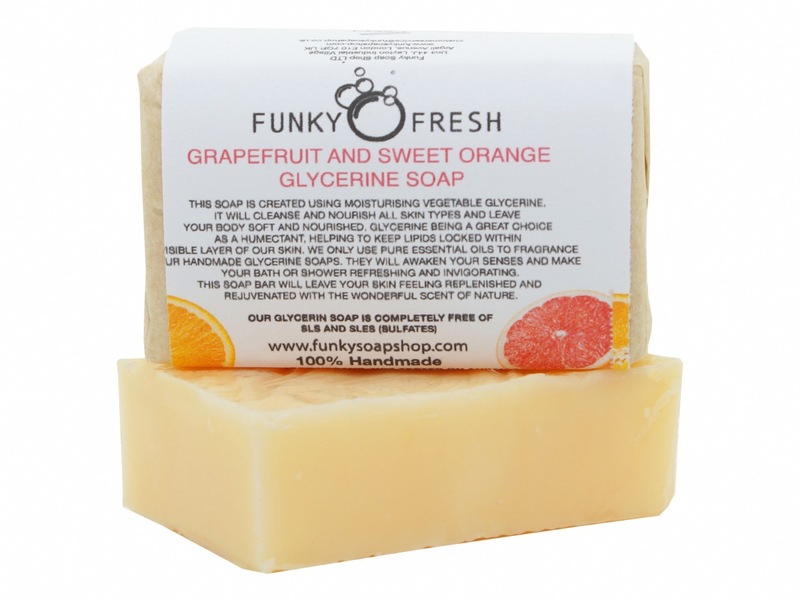 THEY WILL AWAKEN YOUR SENSES AND MAKE YOUR BATH OR SHOWER REFRESHING AND INVIGORATING. 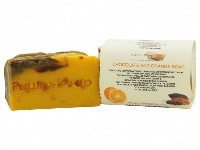 THIS SOAP BAR WILL LEAVE YOUR SKIN FEELING REPLENISHED AND REJUVENATED WITH THE WONDERFUL SCENT OF NATURE. 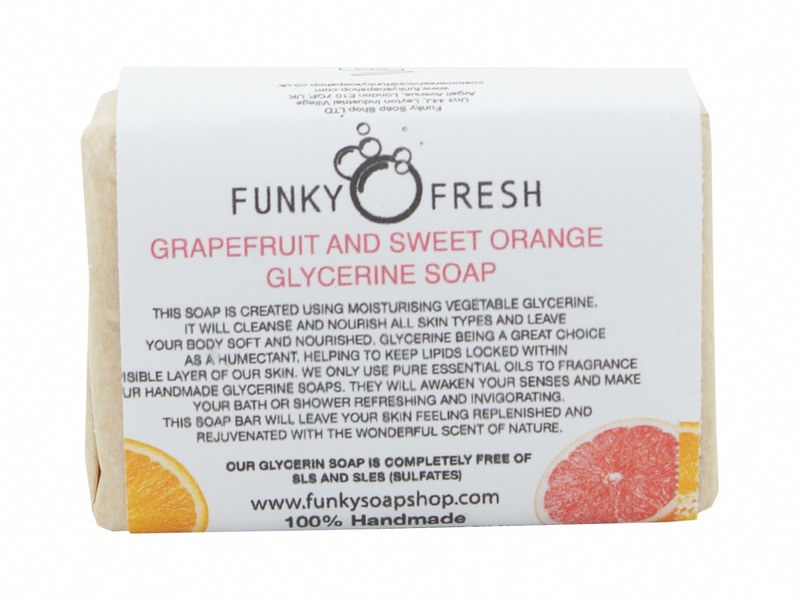 OUR GLYCERINE SOAP IS COMPLETELY FREE OF SLS AND SLES (SULPHATES). 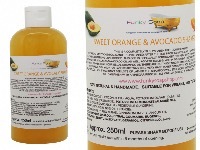 AQUA, GLYCERINE, SORBITOL, SODIUM STEARATE, SODIUM LAURATE, PROPYLENE GLYCOL, SODIUM OLEATE, SODIUM MYRISTATE, SODIUM CHLORIDE, CITRIC ACID, GLYCERYL LAURATE, COCAMIDOPROPYL BETAINE, COCOS NUCIFERA OIL (COCONUT OIL), SODIUM THIOSULFATE, SODIUM CITRATE, TITANIUM DIOXIDE, STEARIC ACID, LAURIC ACID, PENTASODIUM PENTETATE, TETRASODIUM ETIDRONATE, CITRUS PARADISII OIL (GRAPEFRUIT), CITRUS SINENSIS OIL (SWEET ORANGE), LIMONENE, LINALOOL, CITRAL (within the Essential Oils), RED 17 (C116035), ORANGE 39 (C140215).